Four workers at Rhode Island’s Department for Children, Youth and families have been sidelined pending a review, following the death of an adopted, nine-year old girl with cerebral palsy who once was in care of the child welfare agency, and was one of eight children found in squalid conditions January 3 in a home on Oakland Beach Avenue in Warwick. “At this time we have one person on administrative leave and three others on restricted responsibilities, said DCYF Director Trista Piccola, in a news conference convened Wednesday to offer the agency’s first comments in the nearly two weeks since the death of Zah-Nae Rothgeb. Governor Gina Raimondo expressed confidence in Piccola’s management and handling of the case. Michele Rothgeb, 55 was the adoptive mother of the eight children, the remaining seven have since been placed elsewhere and are in good condition, said Piccola. Rothgeb was charged by Warwick police with neglect or abuse of a child. 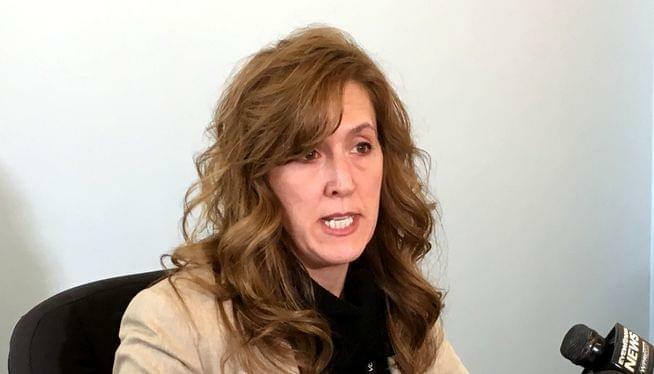 Piccola said she knew of no other home monitored by DCYF with eight adoptive children, and said she would adhere to a limit of no more than five. 1. All notifications of a Child Protective Services investigation involving any foster, kinship, or pre-adoptive family must be provided to senior managers and the Director within 24 hours of the family being “screened in” for an investigation. The license of these families will be placed on “hold” until the resolution of the investigation and a thorough review by administrators. 2. No requests to increase capacity in any foster, kinship, or pre-adoptive home where five minor children of any age already reside will be granted at this time unless it is authorized by me or a person I designate. 3. No child or sibling group will be placed in a non-kinship foster home where other non-related minor foster children reside unless it is authorized by me or a person I designate. 4. We are formalizing a tool that will standardize the process to fully assess the capacity and resources when families do wish to expand the number of children in their homes. 5. We are finalizing revisions to our placement protocol that ensures the appropriate management involvement in decision-making, oversight, and accountability.